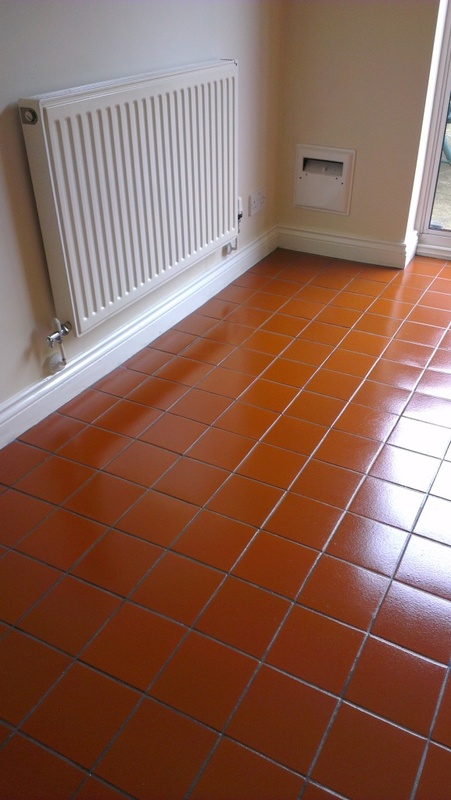 The tiles were recenctly installed and the customer called us in because they were unhappy with the finished result. This can be a common problem with Tilers who do a great job of levelling, tiling and grouting a floor but struggle on their knowledge of sealers. They were hoping for a high gloss finish but were left with a very dull and patchy floor. 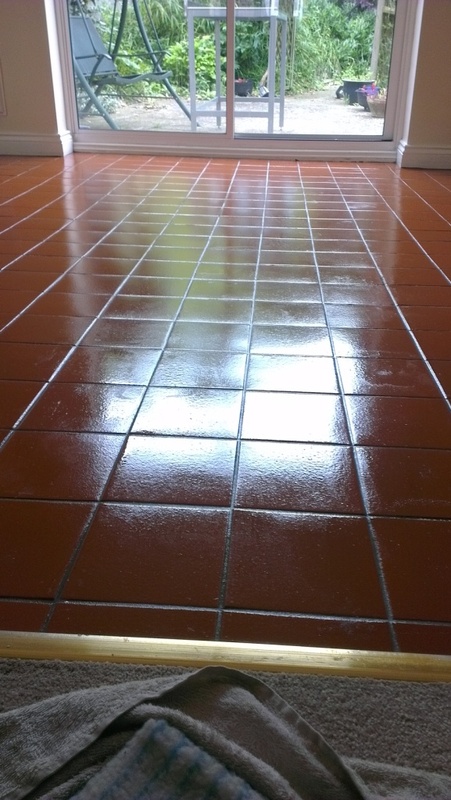 We stripped the entire floor first using Tile Doctor Pro-Clean assisted by a rotary machine fitted with a black pad. 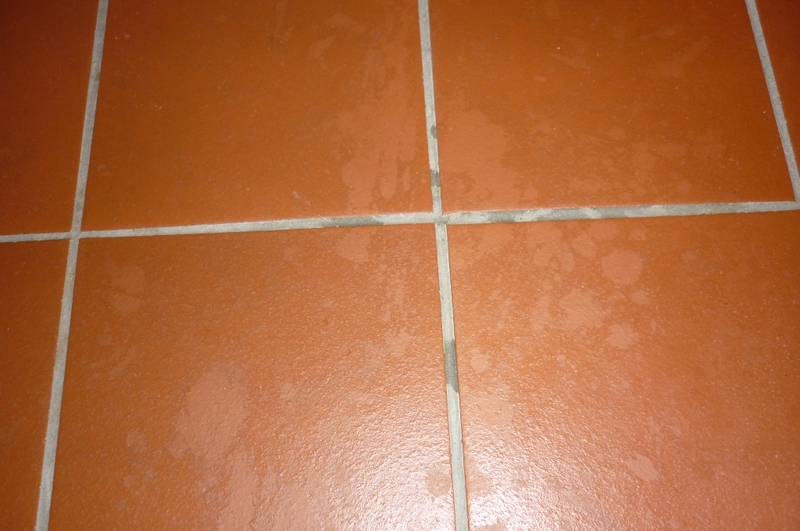 This removed most of the sealer, however, we encountered more problems with grout haze which had been trapped underneath the sealer and had not been cleaned off properly to begin with. Also there were still patches of the original sealer which had been applied over a damp floor. 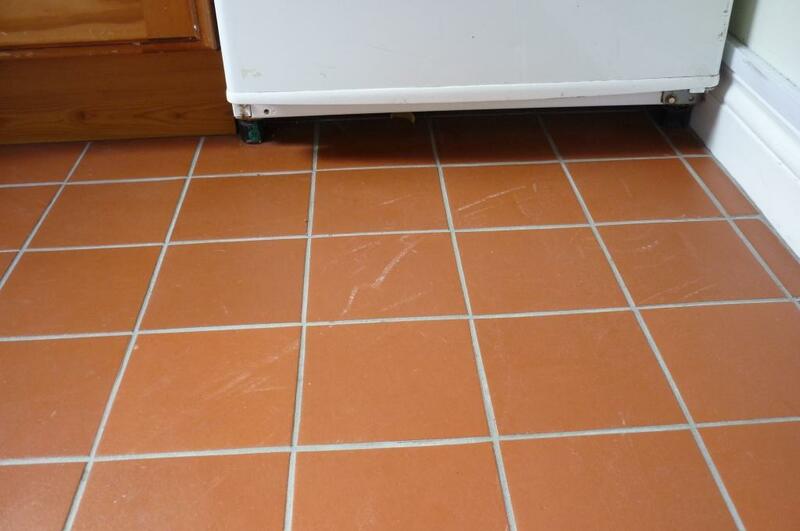 The grout haze was removed by hand with wire bushes and more Pro-Clean and then the entire area was blanket stripped. This is an interesting technique unique to Tile Doctor which involves applying Remove and Go mixed with Nanotech Ultra-Clean to tiles and then covering in plastic sheeting and left for several hours to allow to soak into tiles. We then used a steam stripper and a wet vacuum to pick up to remove and rinse off the products. The area was then left to dry for 2 days assisted by dehumidifiers. After this time we returned to site to take damp metre readings and once we were happy that all areas were dry, we then applied 5 coats of Tile Doctor Seal and Go to protect floors and provide the high gloss finish that the customer requested.